Community Action Together for Children’s Health (CATCH) presented Social Media & Its Impact On Emotional Wellness at the Northbrook Public Library on Thursday, March 7. Dr. Karen Cassiday, managing director of the Anxiety Treatment Center of Greater Chicago (ATC) and renowned specialist in parenting in the digital age, was the keynote speaker. 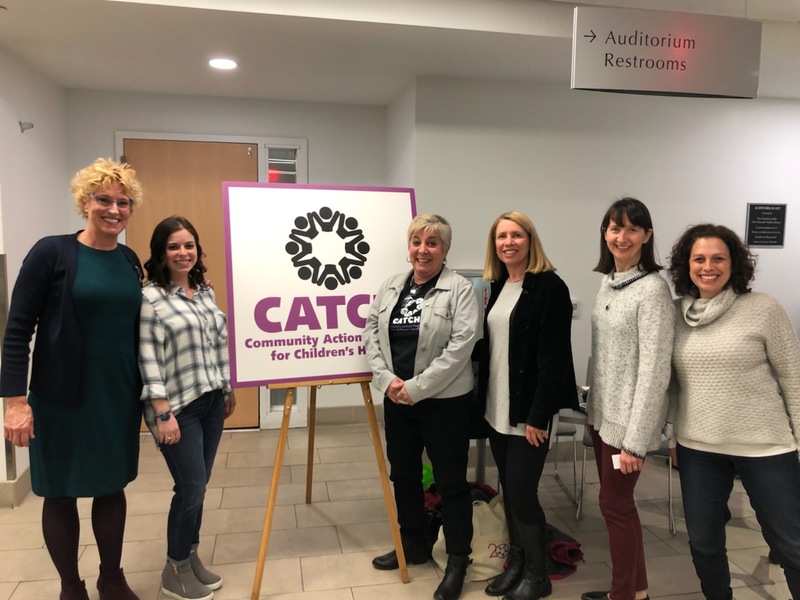 Following the presentation, Dr. Cassiday was joined for a panel discussion by Ronit Shapiro, Instructional Technology Coach in Northbrook School District 28 and Social Media Ambassador. ATC’s Christina Maxwell was also there to answer questions. Start by stating the rules and then expect to restate the rules. Assume that your child will make mistakes and help them to learn from their mistakes instead of panicking about mistakes. Use open-ended questions: What do you think about….? Why do you think…..? How did you get caught up in….? What effect do you think this has on you? Others? Educate your children about the effects of photoshop and false-image-making, on how people tend to compare themselves unfavorably with what they see on social media. When should I give my kids a smartphone? Usually sometime in middle school is when kids will be staying after school for clubs and sports, traveling more independently to a friend’s house, and wanting to do things in groups without adults. This is the time that a smartphone is handy for communication with both parents and friends. Be willing to enforce digital downtime! This means no phones allowed at the table or during family time. Your kids need to learn to read facial and body gestures and to pay good attention to others when they are together, talking or playing. Get really bold and try this on vacation!